DUMP TRAILER WITH 12V RECHARGEABLE BATTERY POWERED HYDRAULIC DUMPING BED. DUMP TRAILER HAS ELECTRIC BRAKES AND REQUIRES AN ELECTRIC BRAKE CONTROLLER. LOADING RAMPS ARE AN OPTION TO TRANSPORT LOADERS OR EXCAVATORS IN TRAILER TO JOBSITE. 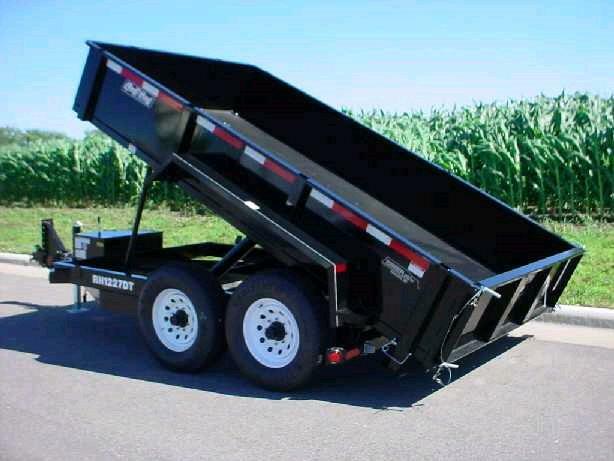 * Please call us for any questions on our trailer dump 7 foot x12 foot 2axle el. brake rentals in Portland OR, Gresham OR, Milwaukee OR, and surrounding metro area.